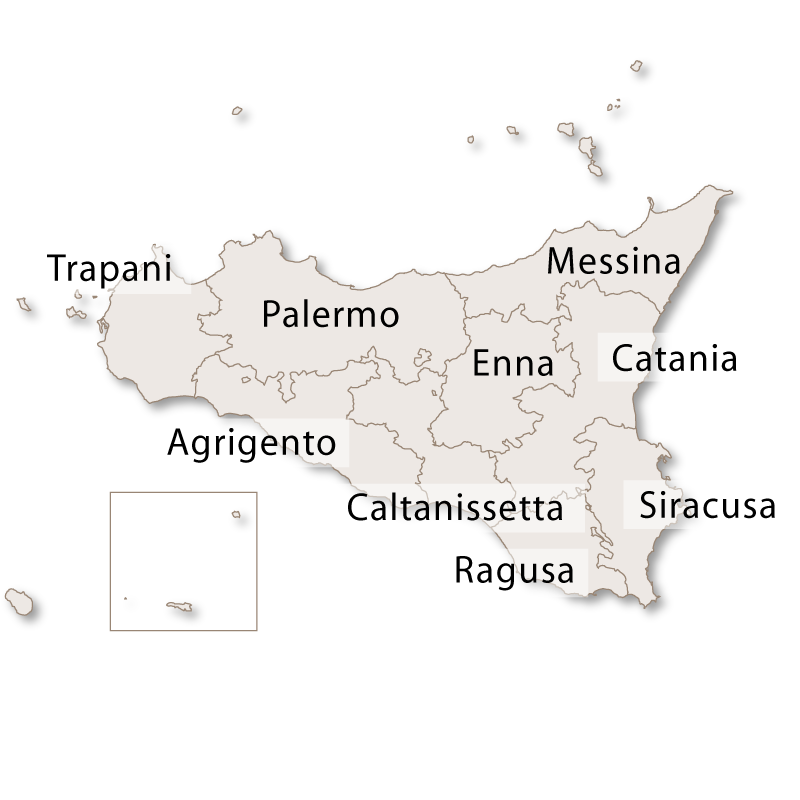 The Pelagie islands, consisting of Lampedusa, Linosa and Lampione, are part of the Sicilian province of Agrigento. 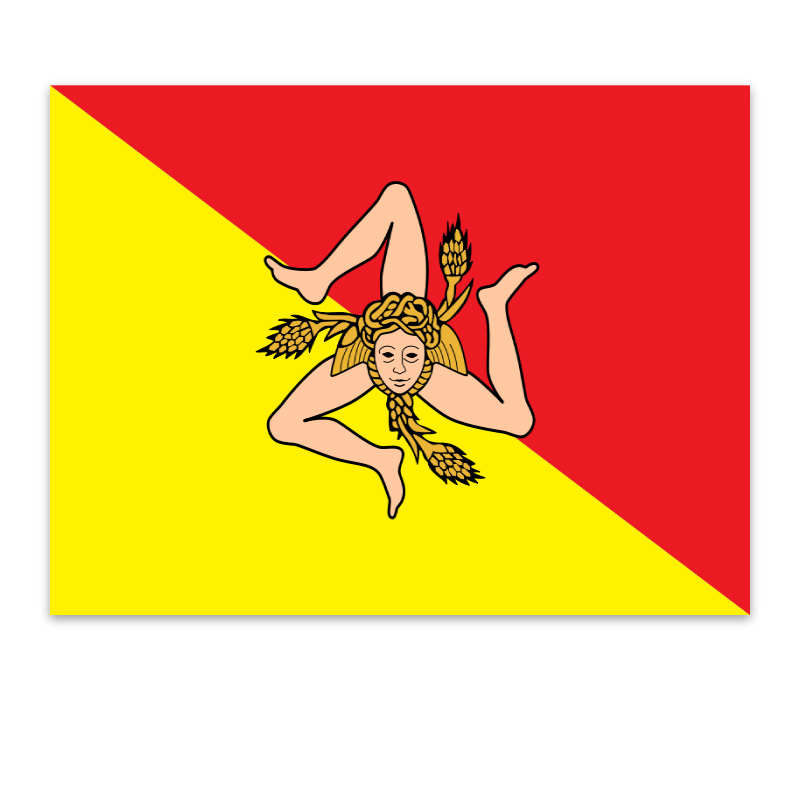 They are located in the southern Mediterranean sea, 176 kilometres south west of Porto Empedocle, on the southern coast of Sicily. 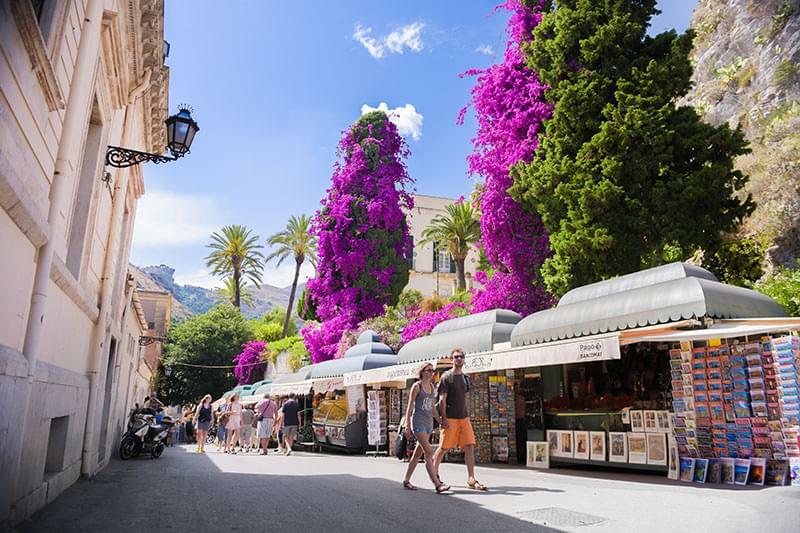 However, the islands are closer to Tunisia than they are to Sicily, which makes them an attractive first destination for immigrants from the African continent making their way to Europe. 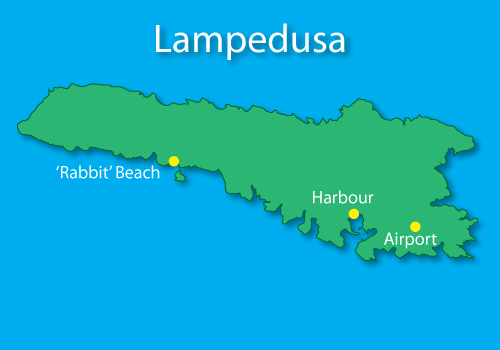 Lampedusa is the main island of the Pelagie archipelago. It is just over 20 square kilometres in area and has a population of approximately 4,500. It was well known in ancient times and was a useful landing spot for the Phoenicians, Greeks, Romans and Arabs. It's possible that the name comes from the ancient Greek word 'Lampas' meaning torch, after the lighthouse that marked the island. 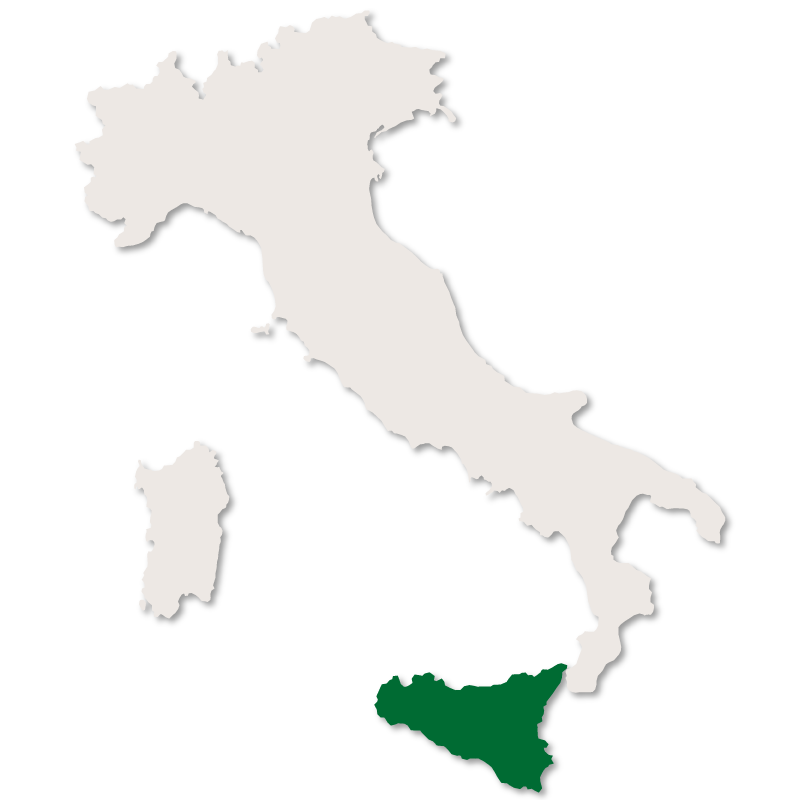 Although politically Italian, the island has much more in common with north Africa. There is some agriculture on the island but fishing is the main source of income. In addition, Lampedusa has always been a popular holiday destination for Italians and the beautiful 'Rabbit Beach' (Spiaggia dei Conigli), on the south coast of the island has been voted the world's best beach. However, in recent times the island has been inundated with refugees, arriving by their thousands, and housed in overcrowded camps until they can be moved onto the mainland. The poor condition of the boats used to bring them, and the sheer weight of numbers on board, have led to many tragedies close to the island and the resulting international publicity has damaged Lampedusa's tourism industry. 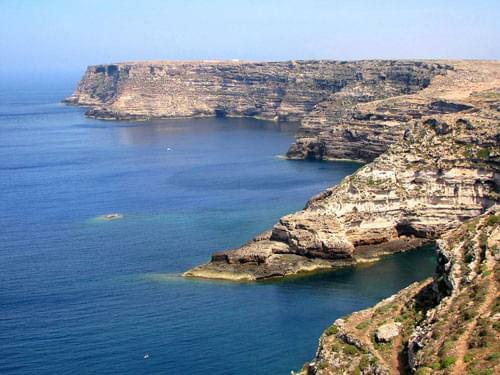 Linosa is located 43 kilometres north of Lampedusa and is the second largest of the Pelagie islands. It is nearly 5.5 square kilomtres in area and has a population of 450. 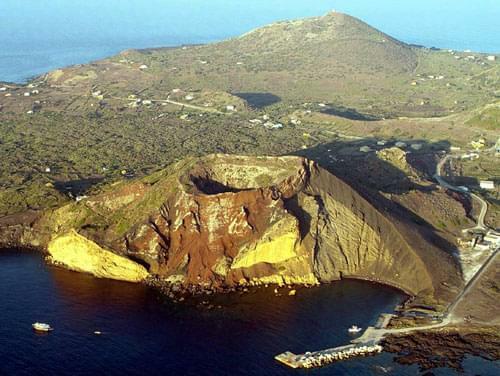 The island was formed from a series of volcanic craters. 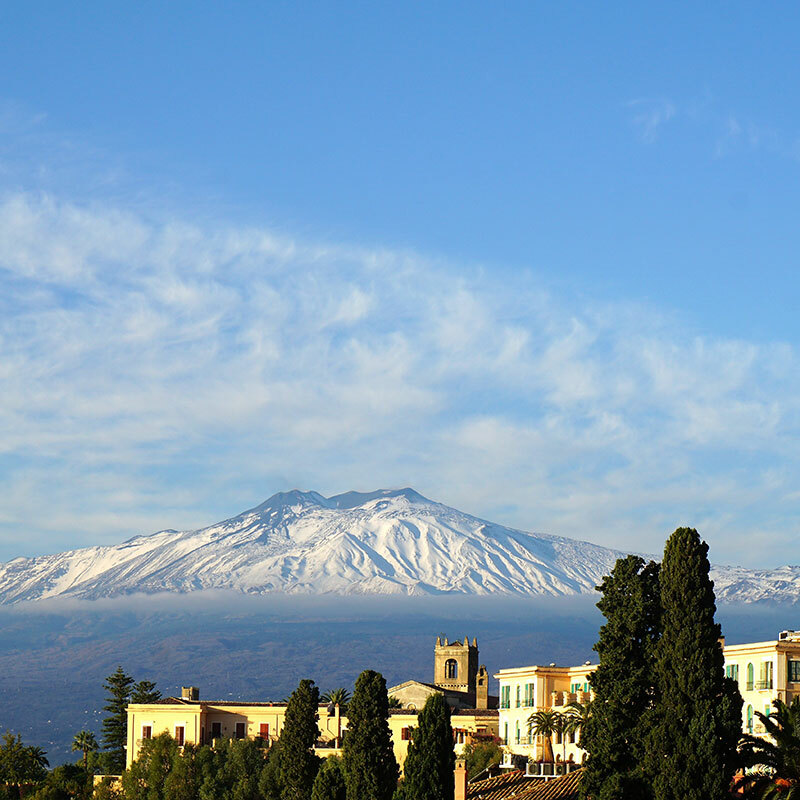 The principal one, Monte Vulcano, is 195 metres high. 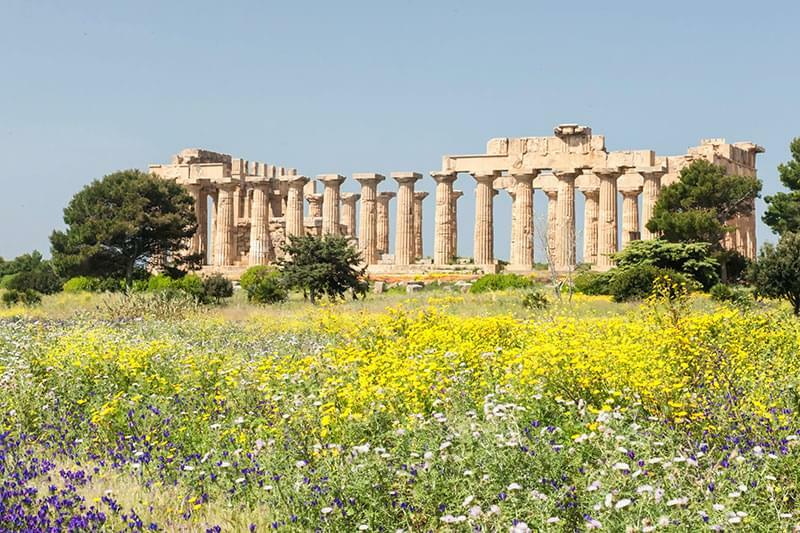 The island was used by the Romans during the Punic Wars and there are the remains of 150 water cisterns still visible. As with the rest of the Mediterranean islands, throughout the middle ages, Linosa was subjected to invasion from the Saracens, Normans and the Aragons. The island was deserted until 1845, when the first thirty colonists arrived on the orders of Ferdinand II, king of the Two Sicilies. Linosa survives on a mixture fo fishing, agriculture and tourism. 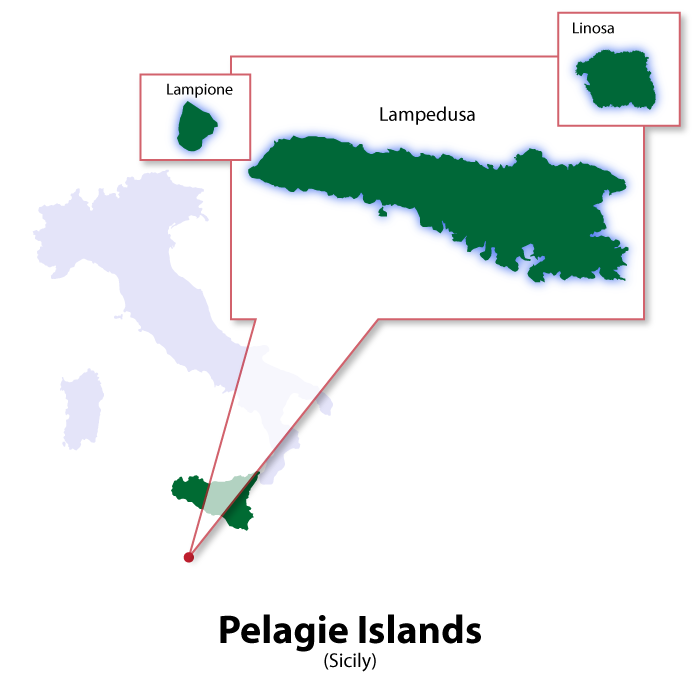 Lampione is the smallest of the Pelagie islands. It is only 700 metres long and 180 metres wide, with a total area of 1.2 square kilometres. The highest point is only 36 metres above sea level. 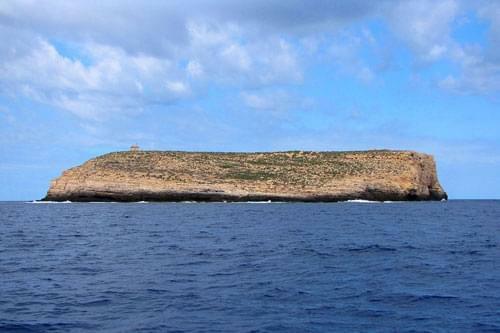 The island is uninhabited with the only building being a deserted lighthouse. The whole area is a wildlife preserve, protecting many rare species including sharks.